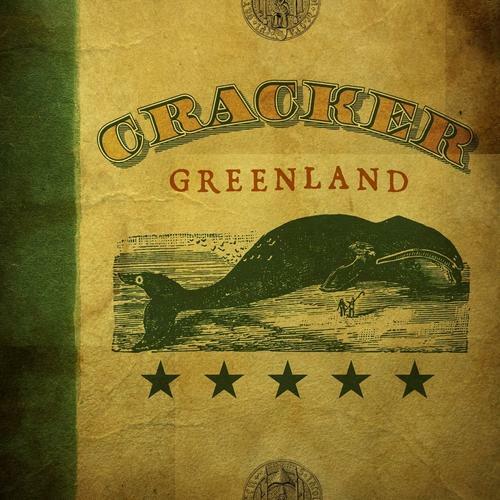 Cracker’s Greenland is a late career triumph. The band achieved mainstream success early in their career and toyed with returning to the promised land for several albums to no avail. Greenland is where it sounds like they punted that idea and just made a great album that they wanted to make. These 14 songs take you on a journey all the while showing all Cracker’s repertoire along the way. Simple country strums ornate “Something You Ain’t Got” to start the record off as strong as possible. Even thought the song is a cover, it feels more like a Cracker song than many that the band did write. David Lowery looks back with the calm delivery of “Where Have Those Days Gone” and gets a funky and energetic on “The Riverside.” While guitarist Johnny Hickman doesn’t take lead vocal on any of the songs, he does dominate “Sidi Ifni” with some amazing guitar work making the song sound like a mid-evil sci-fi adventure. “Gimme One More Chance” and “Everybody Gets One Free” are straight up rockers with big sing-along choruses and “Darling We’re Out of Time” and “Fluffy Lucy” are as delicate and fragile as anything the band has ever recorded. The humorous side of Cracker even shines on “I Need Better Friends” and “Everybody Gets One For Free” showing this album has everything. The disc shows amazing versatility and has some of the strongest songs of the band’s career. “Something You Ain’t Got” is a hauntingly beautiful and heartbreaking song to start the record and the same could be said of “Darling We’re Out Of Time” to close it. This album has survived years of repeated spins and still sounds as fresh and good as the first time. That is why Greenland is my favorite Cracker record. This entry was posted in 250 word album reviews, My Favorite Cracker Album and tagged Cracker, Darling We're Out of Time, David Lowery, fanboy, Gimme One More Chance, Greenland, I Need Better Friends, Johnny Hickman, My Favorite Cracker Album, Something You Ain't Got. Bookmark the permalink.